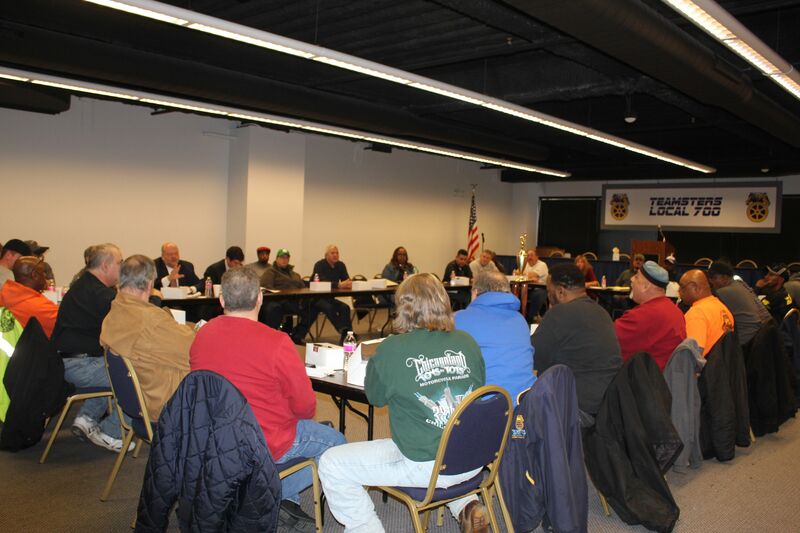 On Wednesday March 15, a group of nearly 40 City of Chicago members, comprised of mostly stewards and a few rank-and-file members, gathered at the Teamsters Local 700 meeting hall to receive an update about the City of Chicago contract proposals. Local 700 President Becky Strzechowski welcomed everyone to the meeting and introduced attorneys Stuart Davidson and Jon Magna. All Local 700 city business agents were also in attendance. Attorney Magna read through a summary of the new contract proposals that were drafted based off of the members’ submissions to the union. Local 700 has been collecting contract proposals from city members since the first steward meeting regarding the contract that was held on Aug. 23, 2016. Local 700 will be negotiating as part of a coalition of the unions that represent all City of Chicago workers. There are currently over 30 individual contracts that are held between the City of Chicago and labor unions; all which expire June 30, 2017. The attorneys will be refining the contract draft after hearing more from the stewards and the next step will be setting up a meeting with the coalition.